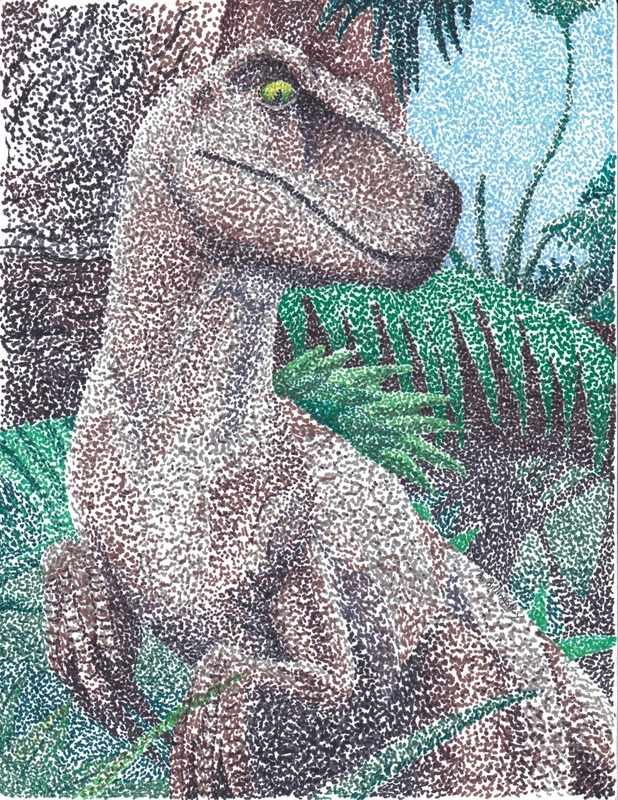 I decided to do another Jurassic Park Velociraptor, this time in the art style called Pointillism. I definitely caught the likeness much better than my previous attempt. I am also impressed with the different colors I used to shade it.